Shaya Rochester has extensive experience in a broad range of in-court and out-of-court restructurings, as well as bankruptcy litigation. The Legal 500 notes that clients praise Shaya as a "diligent" advisor who can "always be relied on to provide considered and sensible advice." Shaya focuses his practice in distressed lending and regularly represents DIP lenders, prepetition lenders and exit financing providers. He also regularly represents distressed investors, purchasers of assets in Chapter 11 sales, ad hoc bondholder groups, as well as corporate debtors, independent directors, equity sponsors and post-bankruptcy litigation and liquidation trustees. Shaya has advised clients in multiple industries, including retail, commodities, energy, oil and gas, entertainment and media, manufacturing, aviation, telecommunications and tobacco. Shown below is a selection of Shaya’s engagements. Counsel to independent directors of a significant toy retailer in one of the largest retail bankruptcies in history. Counsel to a multinational commodities trading and mining company in connection with chapter 11 case of a significant alumina refinery in Texas. Negotiated extensive settlement agreement with the state environmental authorities to facilitate the sale of the refinery pursuant to a chapter 11 plan. Counsel to ad hoc group of secured lenders in connection with chapter 11 case of an adult wellness retailer in multiple locations throughout the United States. Negotiated sale of the company to the ad hoc group on expedited basis with the support of the creditors’ committee and all other constituencies, drawing praise from the Bankruptcy Court. Counsel to indenture trustees at the direction of an ad hoc group of bondholders in connection with one of the largest bankruptcies in the history of the American media industry. Debtors’ counsel in connection with chapter 11 cases of one of the largest airline companies in the world. Facilitated reorganization of the company on a stand-alone basis. Counsel to official committee of unsecured creditors of large power producer in California in connection with its chapter 11 cases. Facilitated sale of the company, resulting in significant recoveries for unsecured creditors. Counsel to indenture trustee at the direction of ad hoc group of bondholders in connection with the chapter 11 case of one of the largest amusement park companies in the world. In the chapter 11 cases, the ad hoc group of bondholders received more than a 100% recovery. Debtors’ counsel to one of the largest African American-owned radio companies in the United States in connection with its chapter 11 cases. Facilitated the sale of the company, thereby preserving the business as a going concern. Counsel to indenture trustee at the direction of ad hoc group of bondholders in connection with chapter 11 cases of a large company engaged in the design, development and manufacturing of microcontrollers and semiconductors. Counsel to one of the largest funds in Brazil in connection with out-of-court restructuring of an onshore drilling company with operations throughout Latin America. Counsel to official committee of unsecured creditors in connection with the chapter 11 cases of one of the largest electricity companies in the United States. Unsecured creditors received a near-full recovery in the chapter 11 cases. Counsel to DIP lender and ad hoc group of bondholders in connection with the chapter 11 cases of a large bioethanol and biodiesel company with operations throughout the Midwestern part of the United States. Facilitated sale of the company to the ad hoc group of bondholders. Counsel to JV owner of a significant oil refinery in the Caribbean. Negotiated extensive settlement agreement with the state environmental authorities to facilitate the sale of the refinery to a third party pursuant to a fully consensual chapter 11 plan. Counsel to official committee of unsecured creditors in connection with chapter 11 cases of multinational corporation specializing in the design and manufacturing of silicone and silicone-based technology, one of the longest-running chapter 11 cases in the history of bankruptcy. Counsel to equity sponsor in connection with out-of-court restructuring of sanitation and recycling company based in the Southeastern part of the United States. Debtors’ conflict counsel to biodiesel and heating oil company in New York in connection with its chapter 11 cases. Counsel to ad hoc group of bondholders in connection with chapter 11 cases of diversified technology company engaged in the production of advanced materials and equipment for the solar, global consumer electronics, power electronics and light-emitting diode industries. Counsel to hedge fund in connection with purchase of significant debt issued by petroleum and natural gas exploration and production company in the southern part of the United States. Counsel to one of the largest bondholders of a satellite communications company with operations throughout the United States. 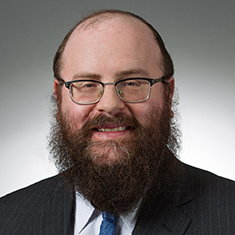 Counsel to defendant of avoidance actions brought by trustee of one of the largest kosher slaughterhouse and meat-packaging factories in the United States. Debtors’ counsel to significant satellite and terrestrial telecommunications company in the United States in connection with its chapter 11 cases. Successfully obtained approval of a prepackaged chapter 11 plan. Counsel to ad hoc group of secured lenders of a merchant payment and processing company in connection with its chapter 11 cases. Commenced extensive litigation against the company, resulting in a favorable settlement for the secured lenders that otherwise would not have been possible. Counsel to equity sponsor sued for various avoidance actions by trustee of nanotechnology company. Counsel to trustee of liquidating trust of large automobile equipment supplier. Counsel to official committee of unsecured creditors in connection with the chapter 11 cases of a significant renewable fuel company with operations throughout the Midwestern part of the United States. Counsel to official committee of unsecured creditors in connection with the chapter 11 cases of one of the largest carpet-backing manufacturers in the United States. Counsel to DIP lender and exit lender in connection with chapter 11 cases of one of the largest cable television companies in the United States.